Can the Real Dumbo Please Stand Up? 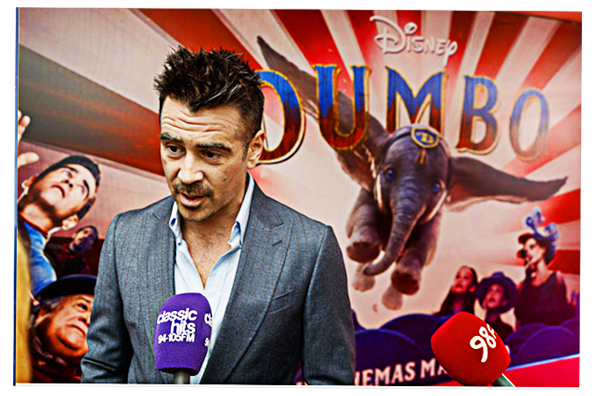 This Friday marks the long-awaited debut of Disney’s live action Dumbo remake, directed by Tim Burton and starring Colin Farrell, Michael Keaton, Danny DeVito, and Eva Green. Based on the animated 1941 Disney classic, this Dumbo brings the magic of the flying elephant to a new generation. Interestingly, the original story the films are based on was created for a novelty style of a book called “Roll-A-Book, in which the story was printed on a long scroll that was placed inside a book so that readers could “roll” the story along. With Dumbo making his triumphant live action debut (even though Dumbo himself is computer generated) we thought it would be a good time to present places where you could see a real Dumbo, in Los Angeles. Maybe the idea of seeing a real Dumbo is a little misleading. No, there isn’t a place in LA where flying elephants dart across the sky, although there are several bars in town, that could make you a drink which might give you the impression that you saw flying elephants. Sadly, they don’t exist here in LA, but with that said, there are a few places to see the next best thing, real elephants!! Any search for a Dumbo you can see in person would probably start at a zoo. With almost a dozen zoos and animal parks within 50 miles of Los Angeles, you would think that visiting these gentle creatures would be a short trip away (as long as you don’t take the freeway). That’s not exactly true. In fact, there are only 2 zoos within 150 miles of each other that are homes to elephants; the wonderful San Diego Zoo, and closer to us, the Los Angeles Zoo. Back in 2011, several zoos decided to longer be a home to elephants, due to new safety regulations placed on zoos by the American Zoo Association that said that in order to protect elephants, they must be in enclosures that do not share space with humans without a protective barrier. A zoo like the Santa Ana Zoo, which had offered elephant rides for 25 years, decided that in order to protect the elephants and save their accreditation, it would be best if they sent them to other zoos or preserves that could better shelter these beautiful creatures. On a side note, if you and your family would like to see many amazing animals but don’t have the full day needed to explore the LA Zoo, the Santa Ana Zoo might be a great option and it’s only about 25 outside LA. So, getting back to the LA Zoo. Currently, the zoo is home to the only elephant in captivity inside of Southern California. His name is Billy and he has become something of a star, even inspiring his own Facebook page, https://www.facebook.com/Billytheelephant/. Most of his notoriety does not come from how majestic he is (although he really is majestic), but because of how much controversy keeping him in the zoo has caused. Celebrities like Bob Barker, Cher, and Lily Tomlin have all lent their star power to the cause of getting Billy to a larger sanctuary, where he can roam free. Billy’s controversy even went all the way to the California Supreme Court, who ruled on how the zoo could restrain and manage him. Needless to say, a lot of people love Billy, but they would love it more if he was not in a zoo. So, finding a real elephant in LA is not very easy. Sure you can find statues in various locations or you can head up to Anaheim and visit the Dumbo ride at Disneyland (fake Dumbos, but really fun). There’s a couple of bars named the Elephant Bar, none of which have actual elephants and one in Hollywood named Jumbos, that is decidedly not very family friendly. I guess that finding a real elephant in LA is not something you’re going to do unless 20th Century Fox begins production on The Greatest Showman 2, but even then, you’ll probably need to know Hugh Jackman, in order to get access. 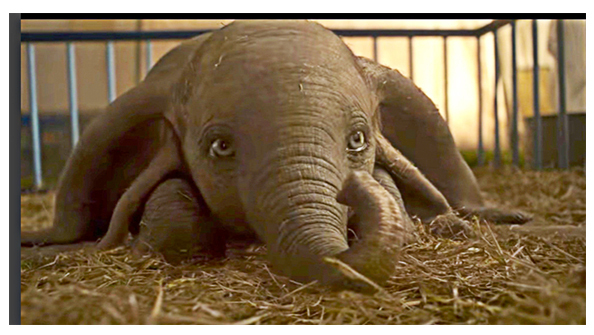 For now, the closest thing would be to enjoy Tim Burton’s vision of Dumbo on the big screen.